THERE is an ongoing security alert in west Belfast this morning. It follows the discovery of a suspicious object which has been found near Dunville Park off the Falls Road. Army technical officers are at the scene examining the object. 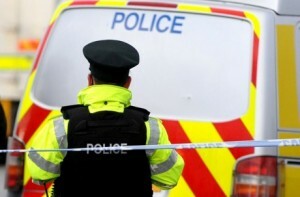 Police have closed the Falls Road at the junction of the Springfield Road and Clonard Street. A number of residents have been evacuated from their homes as a result of the alert. Police have advised motorists to avoid the area and take an alternative route.